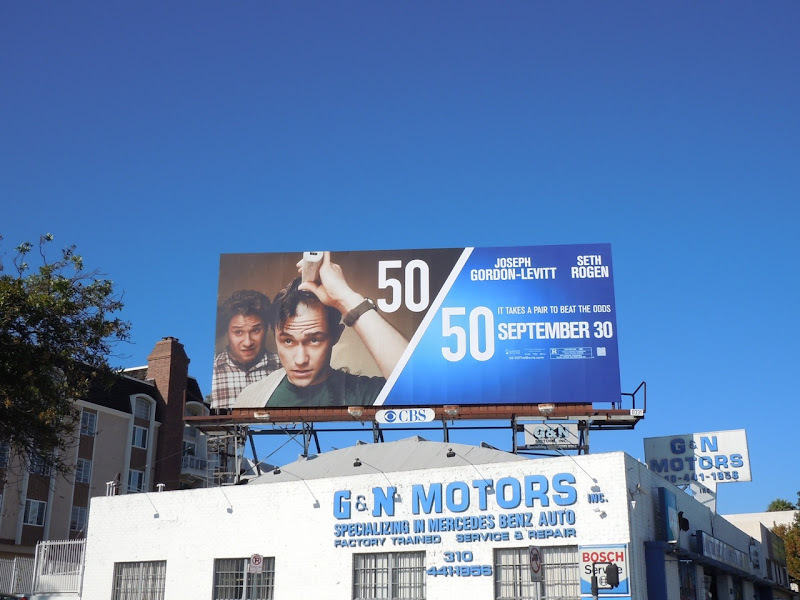 This visual really is such a well chosen, arresting image to help sell new comedy 50/50, as it's not something you see on a billboard every day. 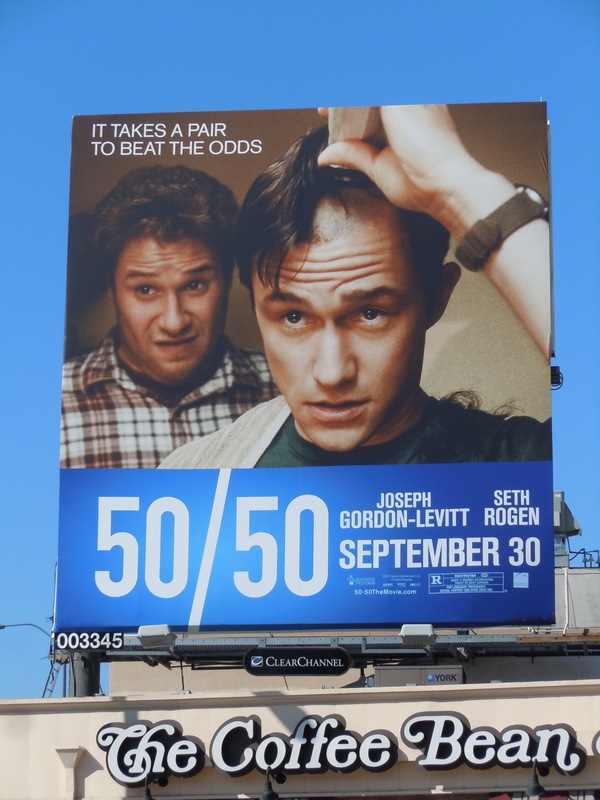 Seeing Joseph Gordon-Levitt shave his own hair off certainly stands out and you know that with Seth Rogen lurking in the background, hilarity is sure to ensue. 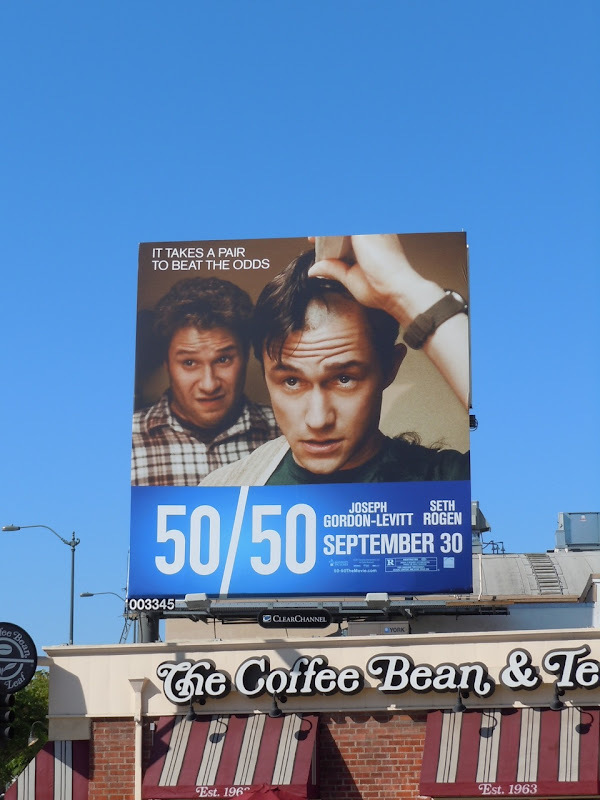 You'd never suspect it was an uplifting movie about cancer. 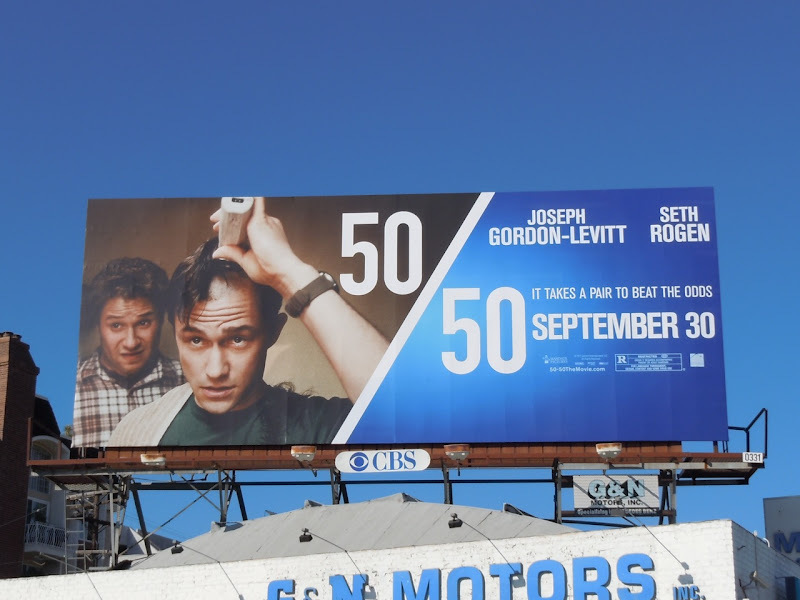 These fun movie billboards were snapped along Santa Monica Boulevard at Manning Avenue on August 31, and at Beverly Glen Boulevard on September 8, 2011.